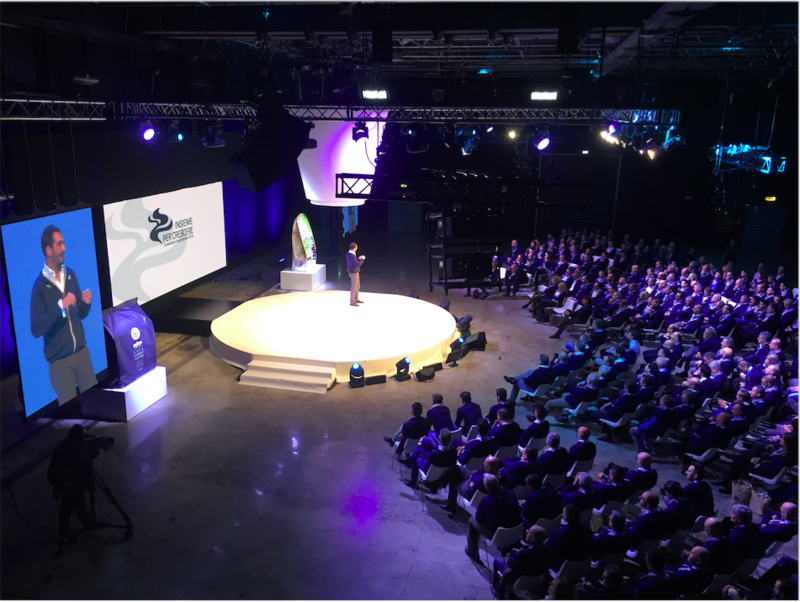 Free Event conceived, produced and organized the Lavazza Food Service Convention that took place at East End Studios in Milano. 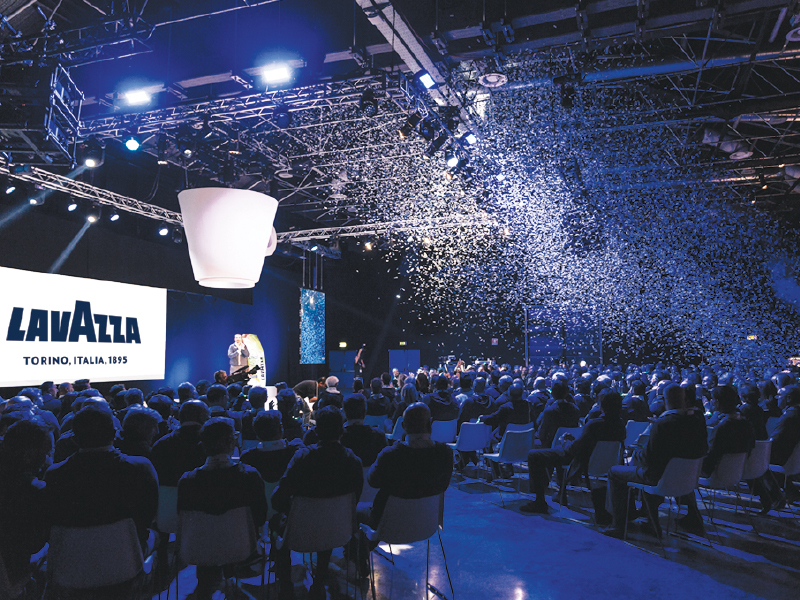 300 Lavazza dealers, together with the family and the managing directors, for two days of training and entertainment. The set up was impressive, with graphical tailor-made tools to mark the way, plus Lavazza emblems, bilboard, totem and above all a giant coffee-cup, that in the opening act of the show was mapped with some emotional videos, and then lifted up to illuminate the small plate-shaped stage. 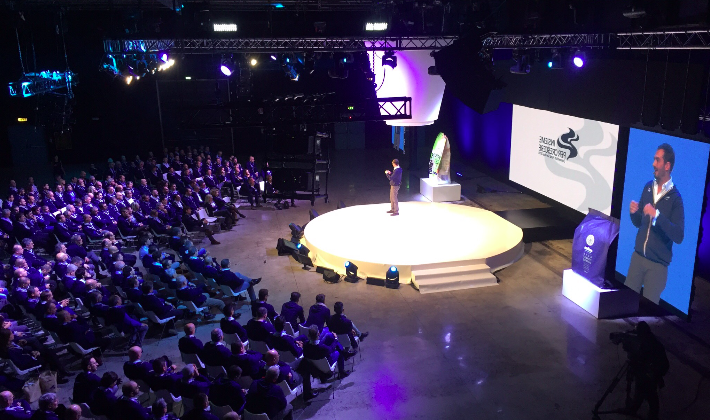 The company contents were reproduced on a big ledwall that open in two every time a speaker needed to get on stage. The first day ended with a gala dinner and the performance of the international DJ Jessie Diamond. 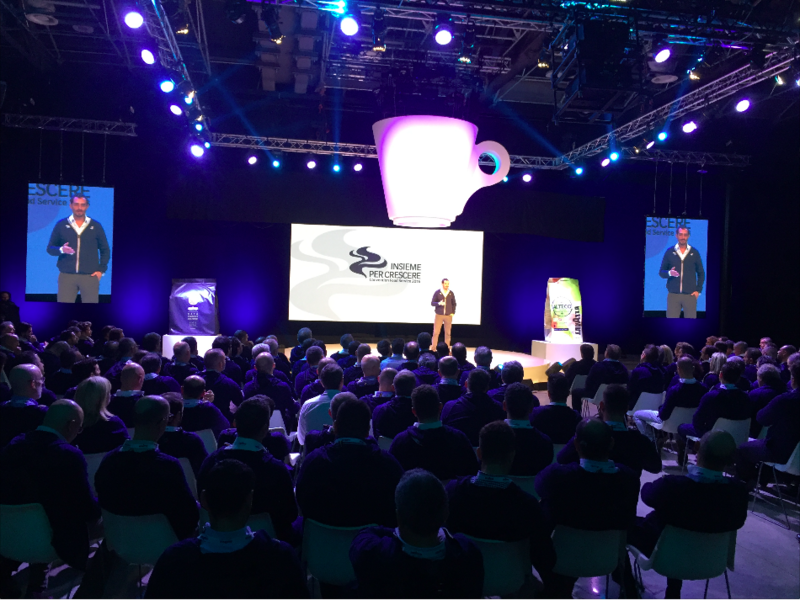 Guests were enthusiast of the show: on the second day the atmosphere was thrilling, and everyone was glad to partecipate to something special, conceived for them and for the ultimate Lavazza’s goal: keep on growing in the FS market as well as everywhere else.